Ok, let me just say….I cannot stand my brother in law. 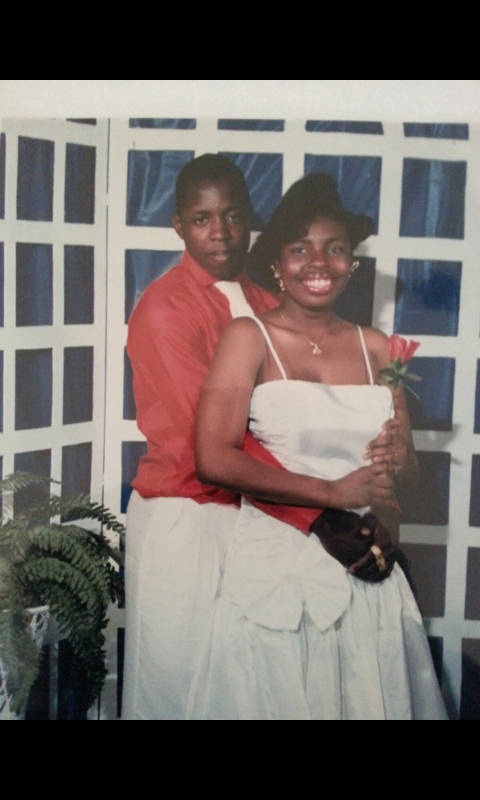 I’m at work…working and all of a sudden I get a text from my brother in law and when I opened it up it was this picture of me and Dejuan Jones at our 8th grade dance at Fellrath Middle School in1987!!! All I could do is LOL. I wonder what he is doing these days. When I attended our class reunion he was not in attendance and I have not seen or heard anything about Dejuan, but I hope he is doing well. I loved that dress.…I felt so girly and prissy that day….and my hair was pretty fly I might add too. Do you ever look back at pics and be like WOW!!! Oh wow!!!! Look at you! I totally remember that hairstyle and those dresses. Yes girl, you were fly! Wait, I graduated high school in '87. Now I feel old again! Thanks Bobbie!